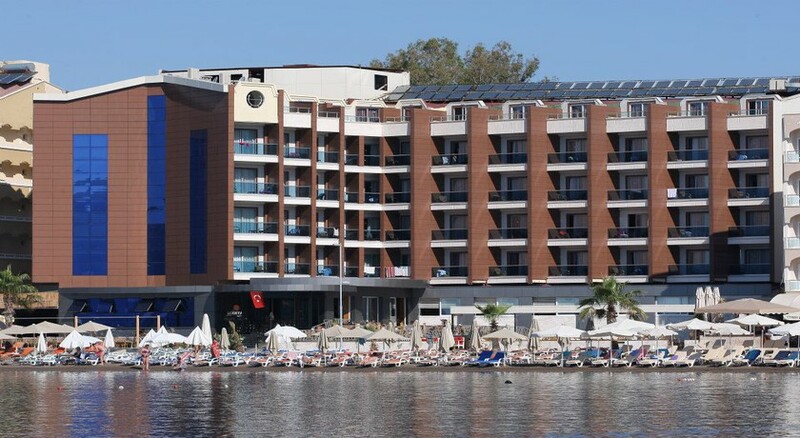 General Description: Mehtap Beach Hotel in Marmaris has 80 rooms and was renovated in 2012. 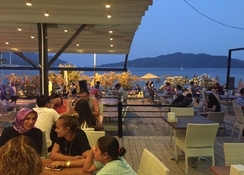 The closest city to the hotel is MARMARIS (800 m). For guests who wish to be mobile, car rental can be arranged. The staff in this hotel speaks German, English and Russian. The hotel features a fresh water swimming pool. Sunshades and sunbeds are available free of charge at the pool. The hotel is within easy reach of medical services. Accessible from the hotel: airport DLM (90 km). Amenities: For convenience the following services are offered: laundry service and currency exchange. Sport and Leisure: Activities such as darts and billiards are offered at the hotel. Additional Information: The following payments are accepted: Visa Card and Euro/Master Card. Additional fees may apply for certain facilities, amenities or activities.